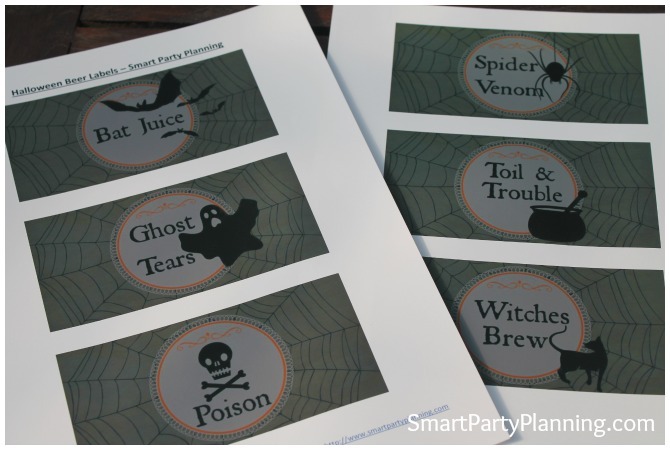 Printable Halloween labels are perfect for beer, water or soda bottles. An essential DIY, Halloween party supply decoration that all guests will love. 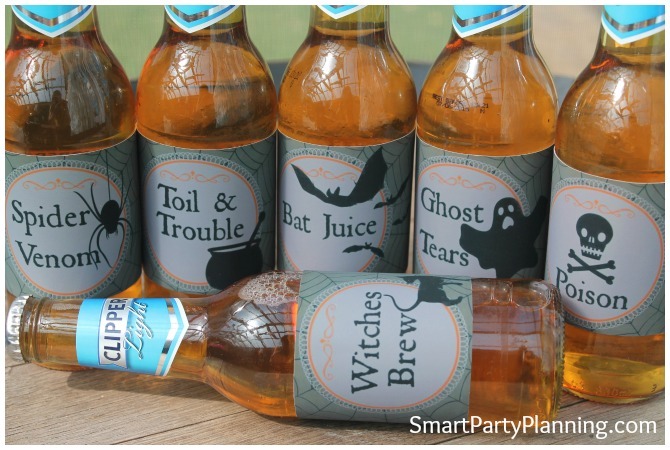 Compliment the beer labels with a FREE set of printable Halloween labels and tags. Create an easy Halloween party table that guests young and old will love. Halloween is one of those holidays that appears out of the blue. One minute your thinking about summer activities and the next…wham…it’s Halloween. Some people have Halloween party preparation in full swing weeks before the event, but for most the busy schedule of day to day life means that preparations (if any) are always left to the last minute. For those that fall into the latter category, it doesn’t mean that you can’t have that extra special touch to your Halloween party. Printable’s are seriously the easiest decoration to prepare and one that will often be a talking point for guests. 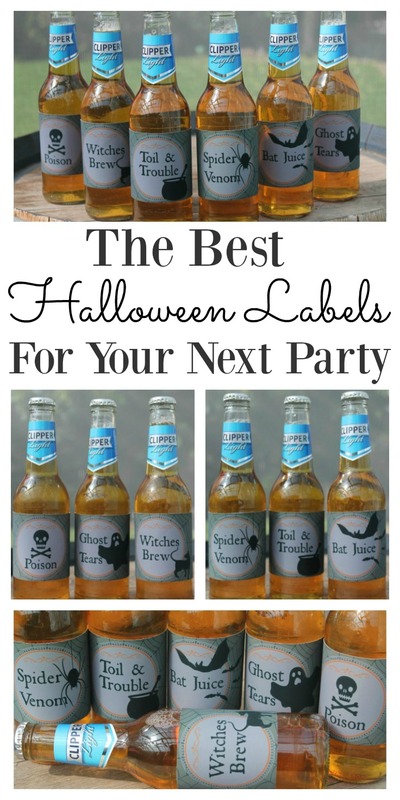 These Halloween beer labels are the perfect answer to easy Halloween decoration for your up coming party. The thing I really love about printable’s is that they are so incredibly easy to use, yet they really make an impact with any party decor. It’s amazing how something SO simple really stands out, and it’s the little touches like this that will really get your guests talking. Whilst the Halloween labels have been specifically designed for beer bottles, there are no rules to say that they have to be exclusively used for beer. The kids would also love to have these on their soda or water bottles. You are limited by your own imagination. Once printed, let those creative juices flow and see what you can come up with. The Halloween printable collection comes complete with six designs. It is entirely your choice whether you use all six or just choose your favorite. Need easy part decor? This is it! Attach to your chosen beer/water or soda bottle. Print onto either full sticker sheets or onto matte photo paper and attach with double sided sticky tape. I have used both methods and they both work well. It is wise to remove the existing main label to replace with the Halloween printable so that your new label really stands out. The last thing you want is for the original to be overlapping and spoiling the effect. It is however a good idea to leave the neck label so people know what they are drinking. This especially important if you are hosting a party and people are particularly fussy about their beers! Are you in agreement that these labels look absolutely awesome on the beer bottles? Whilst we don’t really celebrate Halloween in Australia, hubby still thought they looked awesome and was more than happy to drink his custom designed pack. Even if your not hosting a party, it’s an easy and effective way of having a mini celebration in your home. 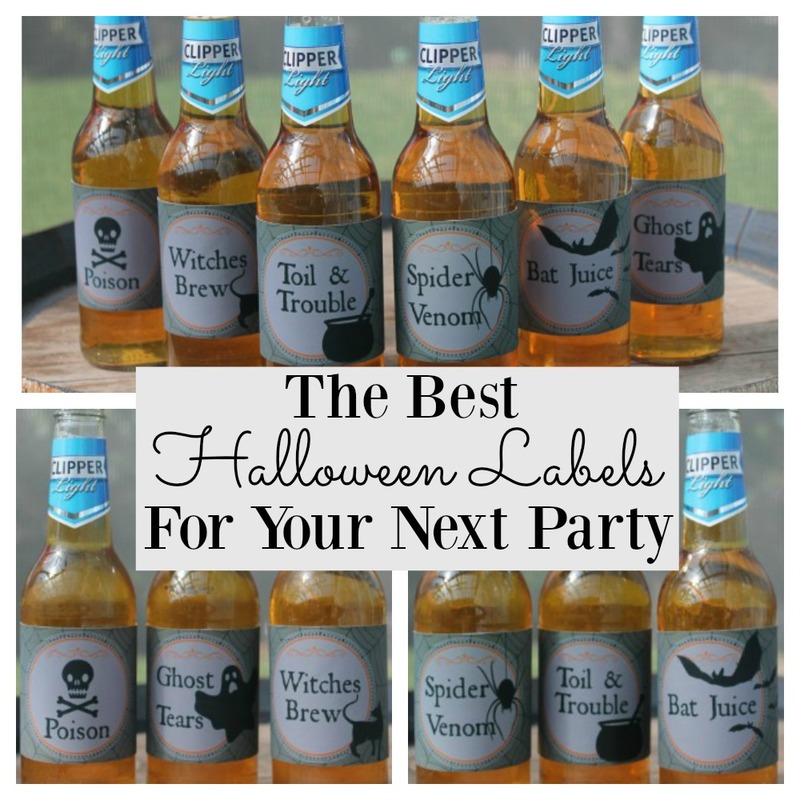 So for the easiest Halloween decoration that you can prepare this year, grab yourself a set of these Halloween printable beer labels right now. The hardest part will be choosing which beer you are going to use! Are you having a Halloween party this year? Do you think these printable’s would fit in with your decor? If you like these Halloween printable beer labels, please SHARE and PIN them so that other’s can enjoy them too.